TAR stands for ‘TV Apparatus Room’. This photo shows the Line Desk for Studio B (the Midlands Today Studio) at Pebble Mill. 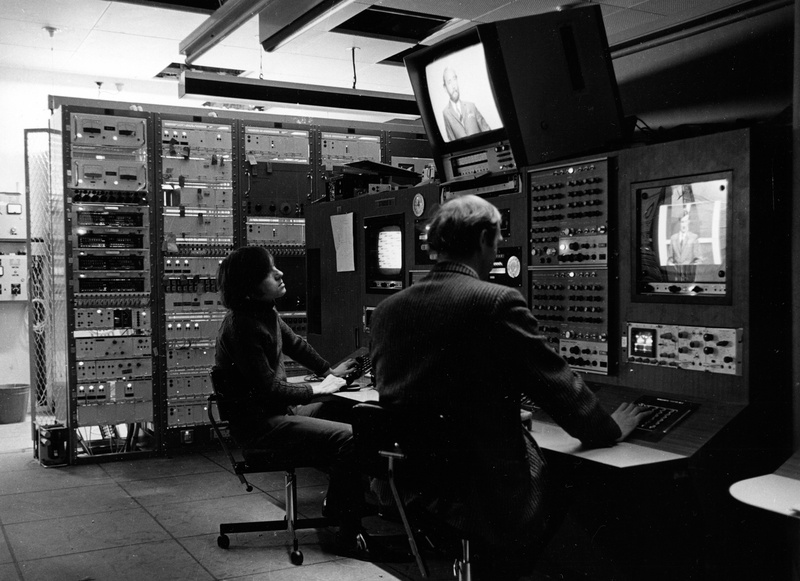 Shown in the photo are broadcasting engineers John Macavoy & Maurice Darkin. Thanks to Ivor Williams from Post Production for the photo.